Today is the first day of fall in the northern hemisphere. The days are getting shorter, the temperature is beginning to drop and we’re all preparing for snuggling up in sweaters and long nights by the fire. Many ancient cultures around the world celebrated the autumnal equinox and several of these traditions have been passed down through the ages. One modern festival, Mabon, has its roots in ancient Celtic celebrations. The Celts believed this was a time for being thankful for the summer, honoring the approaching darkness of the winter and preparing for the Samhain, a festival to celebrate the coming of winter. Much of the festival revolved around sharing harvest fruits and vegetables. Apples were and continue to be of particular importance. First, when cut in half, the five pointed star can be seen in the center of the fruit. This is believed to be a highly magical symbol. 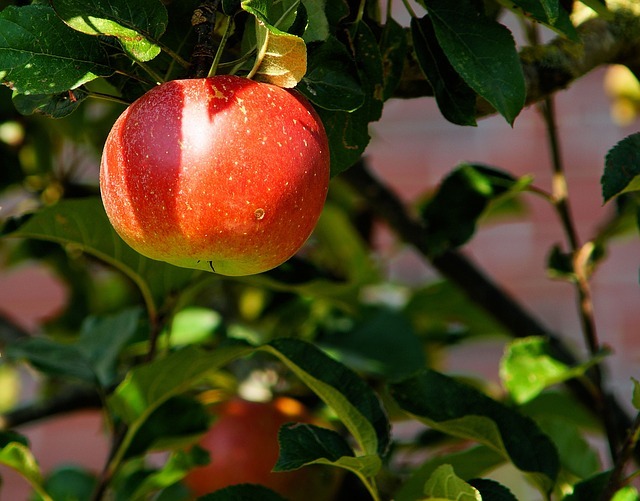 Second, the apple itself is believed to be a divine symbol and its trees are representative of wisdom and guidance. So, during the Mabon festival, it is important to feast on apples. To that end, we’re bringing you a couple of delicious and ancient apple recipes along with a brand new, modern recipe for good ol’ apple pie. Enjoy! In a bowl combine apples, sugar, flour, cinnamon, nutmeg and salt. Place mixture in a pastry-lined 9 inch pie plate. Dot with butter and adjust top crust that has been vented. Place in oven and bake at 425 degrees F (220 degrees C) for 10 minutes. Turn oven temperature down to 275-300 degrees F (135-150 degrees C) and bake 40-50 minutes or until crust is golden brown and apples are tender. Let cool and serve. Wigington, P. (n.d.). Hold a Mabon Apple Harvest Rite. Retrieved September 22, 2015. This entry was posted in Blog, Bon Appetit Wednesday, Culinary, Culture and tagged ancient apples, ancient food, ancient recipes, AntiquityNOW, apple pie, autumnal equinox, Bon Appetit Wednesday, fall equinox, Mabon, Samhain. Bookmark the permalink.